Roll on Summer...roll it along, keep those movies comin' all night long! 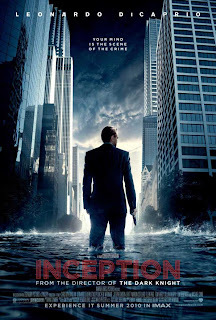 I have been counting down the days to Inception for a long time. I have consumed Christopher Nolan for years. He hooked me with Memento and has yet to disappoint. That says a lot for a director and there are few others that can lay that claim. I even love Insomnia, which is partly nostalgia for me since I spent around six years of my life unable to sleep. 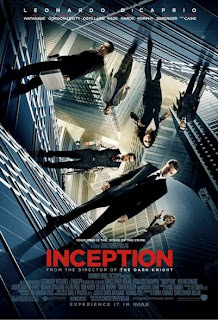 For Inception, I have been involved with the debates over whether this movie would be James Bond, The Matrix, or Dark City...and thank you Christopher Nolan, for you have given us a piece of each of them and combined it into something great. We already know that America bought in...as of this writing, the weekend take is $60.4 million with the closest competitor Despicable Me at $32.7 million. I am sad to report that The Sorcerer's Apprentice did relatively poorly and in nearly a week in the theater, has managed to pull in a meager $24.5 million. See my previous post but it seems that I am sentenced to spend my life as a Sorcerer's Apprentice apologist! I will tell you that with some quick math, I was able to figure my two IMAX trips to the theaters means that I am 0.00000465% responsible for the big take. Your welcome Mr. Nolan! But speaking of America as a whole buying in...INCEPTION IS CURRENTLY (as of this writing) RANKED #3 ON IMDB!!! Wow! 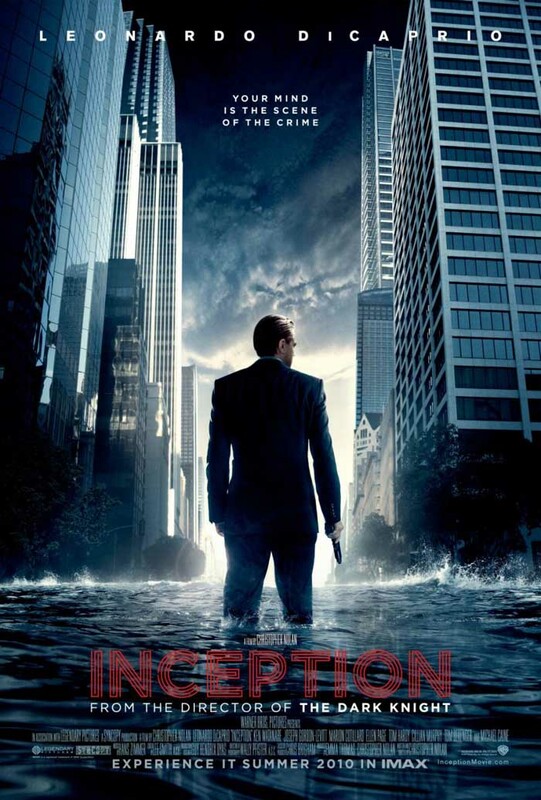 Inception is Christopher Nolan's seventh feature length directorial effort and serves as the 'tweener before “Untitled Chris Nolan/Batman 3” starts rolling much like The Prestige did between Batman Begins and The Dark Knight. Of Nolan's seven features, only Insomnia and his first flick (Following) are unranked on IMDB (but still both are still rated in the 7's). Of everything he Nolan has done, there isn't a single work you can select and call even mediocre! BOTTOM LINE: Christopher Nolan has his stuff together. Christopher along with his brother Jonathan, or Jonah, as he is known are in the company of such names as Coen and Wachowski as far as great sibling pairs that create genuine masterpieces! Steven, Pam...if you are reading this, maybe we could hook up on a project, see if together we have the filmmaking touch that apart we don't seem to have tapped? Let me know, we'll do lunch! What I failed to mention on my first writing, was how beautiful this film is presented! Wally Pfister has been Nolan's Cinematographer since Memento and they have worked every project together since. They have done things with IMAX technology that is literally jaw dropping. With Nolan directing and Pfister as DP, you are taken to places that feel real. I have never been to Beijing at night, but in the Dark Knight we stood atop a skyscraper and gazed over the city with Bruce Wayne. 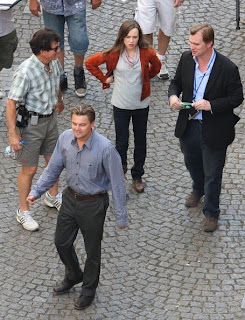 In Inception, there is no difference....beautiful city scenes including Buenos Aires and Paris, both of which were stunning. And that is the real world. The dream worlds were just as vivid and more eye popping because you see things that look real, but you know they cannot be. 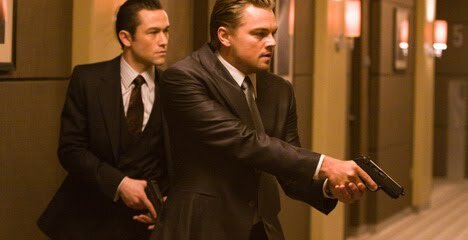 The story in Inception follows Leonardo DiCaprio's Cobb, who is an expert in a (insert smooth DiCaprio voice here) "very specific kind of security." Cobb and his team infiltrate and steal secrets from the dreams of their marks. They are hired by corporations or anyone that needs information and they are the best. 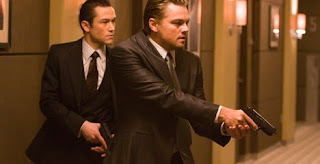 Cobb's team consists first of just Arthur (Joseph Gordon-Levitt), but they quickly add to their cadre, including Ariadne (Ellen Page), Eames (Tom Hardy), Yusef (Dileep Rao), and Saito (Ken Watanabe). I will say I loved Tom Hardy's performance and that Tom Berenger, yep...Mr. Jake Taylor himself, plays a great cameo role as Uncle Peter to the primary mark, Robert Fischer Jr., played by Cillian Murphy. A variety of other recognizable players will be seen in this soon to be classic, including Sir Michael Caine, a Nolan staple from his last few films. Of note, you must have realized that I have failed to mention Marion Cotillard, who plays a prominent role in this movie, but I don't want to reveal to much about her character. That she is in it is apparent from the trailers and the posters, but we will leave it at she is as striking as ever and you will learn the rest when you check out the flick. 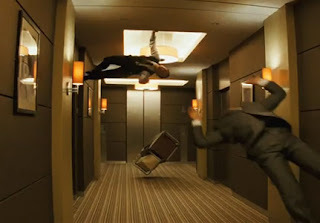 Speaking frankly about the beauty of this film, one must recognize that Nolan is a master at shooting action. He and Pfister take capturing gun play to the next level and their Matrix-like fight scenes are well choreographed and visually stunning. He shoots a chase scene early in the film that is as visceral as any I have seen with several moments during the sequence truely leaving me wincing back in my seat. Ariadne represents the greenery of the flick...the newbie to the concept of dream sharing. She is brought in as an architect, the member of the team who constructs the world of the dream. My friend Mike W brings up a great point in that her role was far under realized. Nolan does a great job of showing the intricacies of the concept of intruding into the dreams of others, but given Ariadne's newness, we don't ever get to see how she adapts to such a radical concept, but instead, we just see her as she is introduced, and then shortly after, it is like she has been doing this for years. After giving the above paragraph further thought, I think it is fair to say that had we seen more of the adaptation of Ariadne, much as we saw Neo first learn "What is the Matrix," then we would have run out of time or at least been looking at a two parter. I am sure that some of what Nolan would have liked to done, couldn't be fit into the constraints of a single feature. To that same end, there is a fair amount of expositional dialogue. By a lesser story teller, this would be seen as a crutch and I would argue with Nolan, that this isn't so. Nolan had such a volume of material and content that was completely foreign to the viewer. I think that the straight 'here's how it is' talk is a necessary evil that keeps the levels of complexity from bleeding together in an incomprehensible mess. I am sure it apparent that I loved this film...if it's not, let me pause to say that again here. I really don't want to get too much into the story because of how great it is to see this unfold on-screen. In fact, my only real complaint is that we knew too much going into the movie thanks to the trailers and all the coverage the film received before the release. To that end, this movie is about dreaming. Inception does successfully what Nightmare on Elm Street and other dreaming type movies...you really never can see the seams between reality and the dreams. BUT, we saw so many of the dream-state scenes in the trailers. When a scene starts in the movie, you recognize it as something that is a dream because of the setting. I would have rather not had this information going in. There are some very complex story arcs and it becomes hard to follows for only fleeting moments throughout. Just when you feel like you are slipping down the rabbit hole, Nolan throws you a rope and you are able to successfully navigate the complexity that is presented. This is very close to a perfect movie. A final note will be a tip of the hat to HANS ZIMMER, the wiz behind some of the best scores of all time. The score to Inception, including that bellowing Lost-ish horn, were as foreboding during the movie as they were during the trailer. I recommend seeing it soon and then seeing it again. This is a movie that has much to absorb and a second viewing will help to take it all in. I, surprisingly, give this a resounding 5 OF 5 HORNS, it isn't my first perfect 5 on the year, but it is my favorite so far. Actually, a second look through the Reel Rhino archives revealed to me that this is in fact my 3rd perfect 5 ~ An Education with Carey Mulligan; Toy Story 3, and now INCEPTION. While I also loved those other 2 flicks, this definitely is the best of the year to date! I mentioned the goodly Mike W up above, he had me laughing when we were "sparring" about the flick and he made the comment: "However, we were robbed of experiencing this concept through fresh eyes as Ellen Page's character development took a backseat to terribly directed fight scenes on Hoth." Whether or not I liked the snowy James Bond For Your Eyes Only dream scenes, Mike's comment literally made me "LOL". Thanks Mike....and for all our debate, I may have numbers of flicks per year my back, but I always will give the benefit of the doubt to an Emmy winning producer who whether he admits it or not loves summer blockbusters, even if he just loves to hate them! I had the good fortune to visit NYC this past week and saw the deluge of advertising for Inception, including this gem I caught from the 86th floor of the Empire State Building. I'm sure they spent a bundle, but I have no fear that they will make it all back and then some. I think that's all for now...I'm headed out to catch INCEPTION again...5 of 5 from THE REEL RHINO. I will catch you again soon and thanks to the new followers this week. It's good to have you! Will M Night Ever Get the Magic Back?